The first autumn storms have blasted in, ending any lingering thoughts that summer might hang on a little longer. As the weather changed I headed out for a short hill walk. The incoming storm was forecast but I really wanted to go out solo, something I haven’t done for a while as recent trip have all involved being with others. Not that I dislike being with other people but solo walking is different, a chance to clear my head, think, observe nature and relax. A chance to stride out too without being constrained by the needs of filming or a group. I wanted to feel free. The forecast storm did make me think about where I should go. 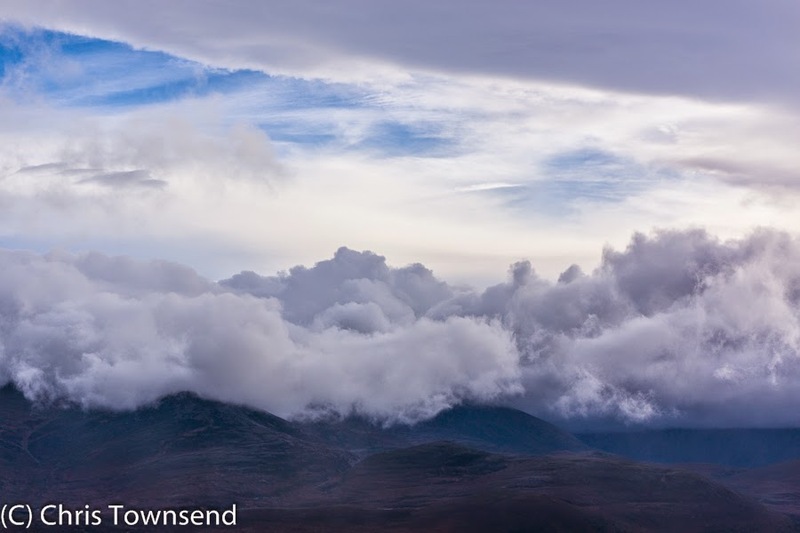 The Cairngorm Plateau was tempting but I could see it was buried in cloud and the winds were predicted to be storm force. I also had limited time. So instead I headed for Meall a’Bhuachaille, that fine little hill on the edge of the Cairngorms that is a superb viewpoint. 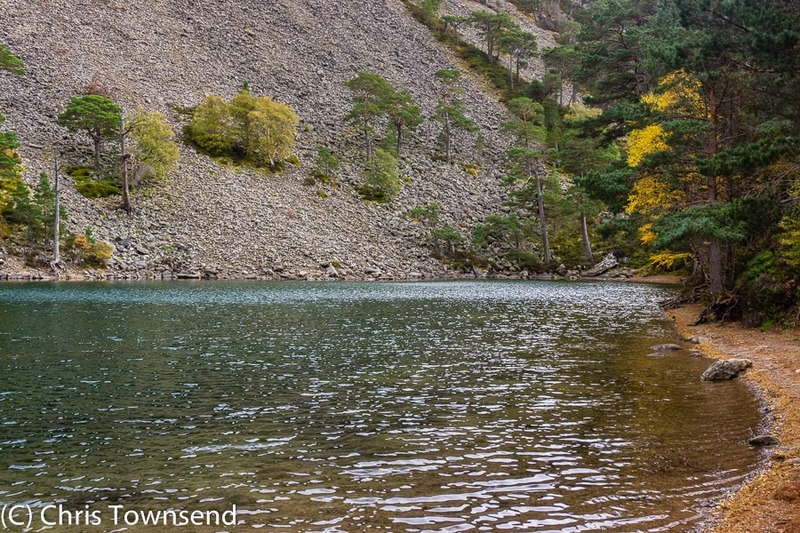 The walk through Glenmore Forest past Lochan Uaine to Ryvoan Pass before the ascent is lovely too, especially at this time of year with the birches and aspens vivid splashes of yellow and orange against the dark green pines. Lochan Uaine was living up to its name – the Green Lochan – too. Pausing on its shores I spoke to a walker heading back down the path. He’d been on the summit of Bynack More, where he said the wind was gusting to 45mph and he couldn’t see anything in the dense cloud. Climbing the steep path up Meall a’Bhuachaille I could see the thick layer of cloud settled on the Plateau. Above it there were touches of blue sky and streaky fast-moving thinner clouds. The wind was picking up, keeping me moving and barely warm enough in just a shirt and thin windproof. Once the summit was reached it was quickly on with an insulated jacket, the first time I’ve worn one since the spring. The wind was gusting to 40mph. Another walker arrived, clad in a T-shirt, though he soon donned a fleece. 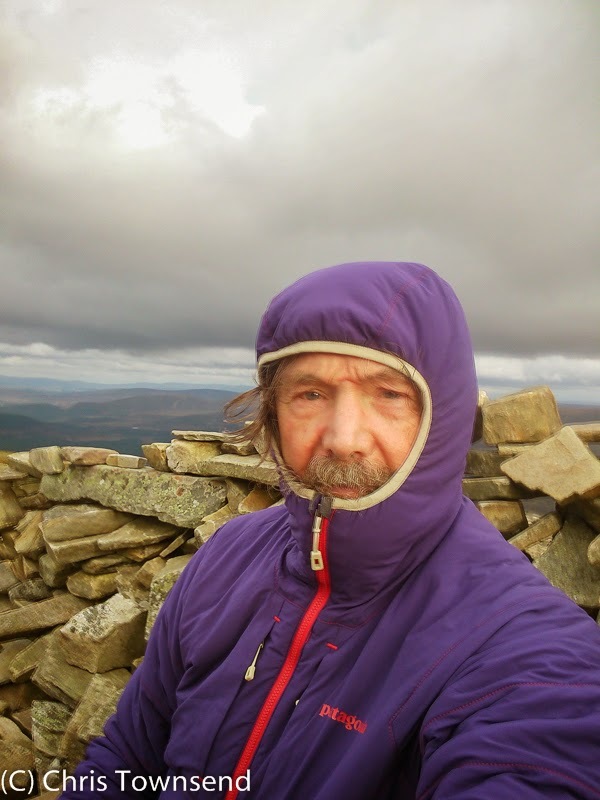 This was his 48th ascent of Meall a’Bhuachaille since May, when he’d made a vow to climb it 50 times before the winter. He was looking forward to his last ascent. 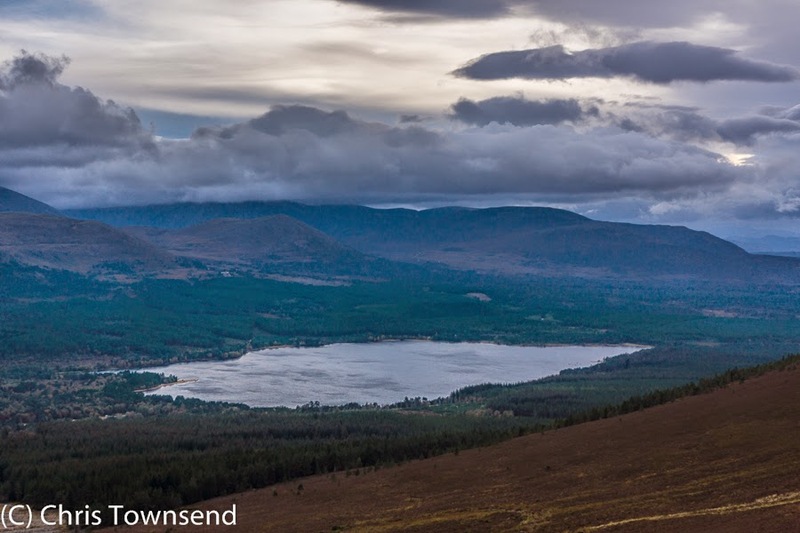 Descending I looked out over the silvery waters of Loch Morlich, its surface shimmering with wind driven waves. All around it the forest was dark while above the touches of blue sky were fading. The wind continued to increase in strength and I was woken several times that night by it banging round the house and down the chimneys. The trees outside roared. This kept up all the next day and then as the wind eased the rain came and continued all the next night and day and into this night. There is flooding along the coast and the rivers are swollen. The dryness of September is forgotten.